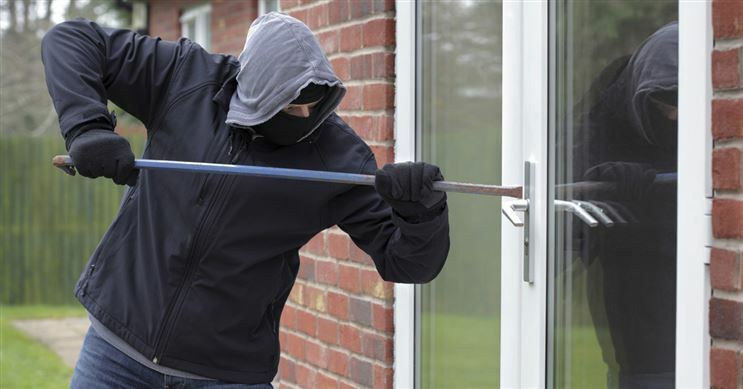 In this article, we will detail about what homeowners like you need to know when shopping for home security and alarm systems and compare the top systems so you know what’s best for protecting your home. Security systems come in all shapes, sizes, and prices. With so many to choose from, it can be hard to figure out which one is best for you. Here are the key areas to pay attention to when evaluating your options. Like most other things in life, you get what you pay for when it comes to home security systems. A simple alarm setup could cost you just a hundred dollars upfront if you are up to doing the monitoring from your own smartphone. On the other end of the spectrum, a complete security system with cameras, sensors and around-the-clock monitoring will require a monthly investment and possibly a multi-year contract. Tip: If your biggest consideration is price, consider a provider like Protect America, our top choice alarm system for value. Plans start at just $19.99/month. You install the system yourself, receive a bunch of equipment upfront at no cost, and your monthly bill can be significantly lower than their competitors. Online customer reviews can help you find out how the alarm company you are considering stands up to the competition. You can also check with your local consumer protection agency and the Better Business Bureau to see if there have been complaints filed. Be sure to ask friends and neighbors about their experience, too. Word of mouth goes a long way towards getting a sense of how a company operates after you have become a customer. Tip: Check out our FrontPoint review to learn why we think their customer service is outstanding. Some home security providers offer wireless do-it-yourself systems. You will save money since you won’t need a professional to come to your house to get your system up and running. If a self-install does not sound like your thing, do not fret. Many companies will come out and install your system, but it’s probably going to cost you more. Tip: If you want professional installation, ADT or Vivint will send a technician to your house to install your system. Otherwise, many consumers now opt for the do-it-yourself route, which is usually wireless and requires no drilling. Did you know: FrontPoint is 100% cellular while Protect America lets you choose the technology to match your budget. Whether you are home or not, video surveillance ensures no activity goes unnoticed. You can see if the cat has knocked your plant off the table or if a bad guy is the culprit. Did you know: You could always skip the cost of live security cameras and install fake ones. The appearance of a surveillance system, even if it is just a camera showing a red dot, can be a huge deterrent for would-be intruders. Modern alarm systems allow you control many aspects of your system from your mobile device – you can arm and disarm, receive alerts, and even control lights, small appliances, and locks remotely. This means that no matter where you are, you will have control and a connection to your home. Make sure you look over all the details as this is one area where many fancy marketing words can become confusing. Make sure you know what your actual system capabilities will be. If a home security system will be a big priority for you, make sure you understand what you’re getting and how much control you’ll actually have. If you’re always on the go, home automation may be ideal for you. This technology allows you to schedule and remotely manage your thermostat, lights, small appliances and locks. This is a recent offering in the home security realm and one way companies are trying to set themselves apart. First, figure out what you want to be able to control when you are away and then see which companies most closely align with what you are looking for. It’s easy to get excited at the idea of not having to pay for equipment. But watch out for hidden terms and conditions in your contract. Most companies lock you into a 3-year contract. SimpliSafe, on the other hand, requires no contract and lets you cancel anytime. 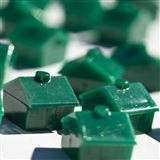 However, if you plan to stay in your house for at least 3 years, it might not be an issue for you. Tip for renters: A wireless system means it can move it with you. If you decide to go with a hardwire system instead, make sure to check with your landlord to see if it's OK before installing. 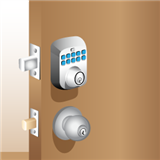 If faced with any of these scenarios, shut the door and immediately notify your security provider. Deciding on a new home security system is a balancing act between what you want and what you can afford. What are your priorities and what are just nice-to-haves? And what things you don’t want anything to do with (for many, multi-year contracts hit this mark)? Can you handle a DIY installation or would you rather leave it to the pros? Are you determined to have round-the-clock monitoring (the costliest option) or could you make do with other ways to deter would-be intruders? You do not want to spend more on your new system than you have to. Do some comparison shopping - we recommend comparing at least three providers—and it’ll become clear which one deserves the right to watch over your home. Home Security: Plans start from $19.99/month to $54.99/month. All plans include free equipment, no installation fees, and 24/7 monitoring. Home Security: Plans start from $34.99/month to $49.99/month. All plans offer 100% wireless and cellular system with 24/7 professional monitoring. $49.99 Ultimate Plan supports video streaming, automated door locks, and advanced thermostat control. Home Security: Plans start from $28.99/month to $58.99/month. All plans include 24/7 monitoring for burglary. Home Security: Plans start from $39.99/month. All plans include 24/7 monitoring, remote access, and touchscreen control panel. Smart Protect Plan starts at $49.99/month and Smart Control Plan starts at $60.99/month. 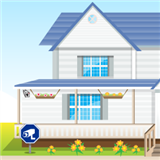 Home Security: Plans start from $19.95/month to $49.95/month. All plans include 24/7 monitoring. $49.95 Total Home+Video Plan supports video streaming. Are you making these home security mistakes and don't even know it? Here are the 10 most common mistakes — and how to fix them. Your dog's bark may be fierce, but it's probably not enough to stop a burglar.